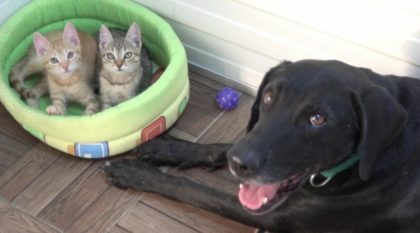 Cat Wants To Come Inside, But How He Gets His Humans Attention Is Just TOO Cute…Watch Video! This cat loves being outside, but when he’s ready to come inside, he has the best way of letting his humans know! He starts pawing on the glass and his owner knows it’s time to come inside and opens the door! When kitty wants to go outside, the same thing happens and visa-versa! This adorable fluffy paws are just TOO cute to miss! This Tiny Little Kitten Is Grooming Himself And It’s SOO Cute, It’ll Steal Your Heart. 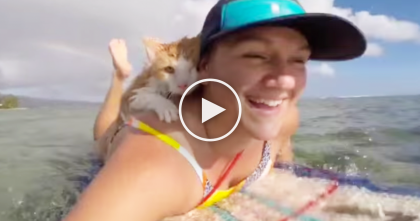 Forget Everything You Know About Cats…One-Eyed Rescue Kitty Does Something I Can’t Believe! 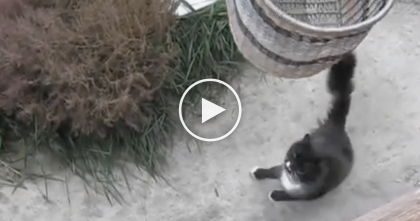 Kitty Starts Meowing At The Window, But Keep Watching To See What Happens… Oh. My. GOODNESS. 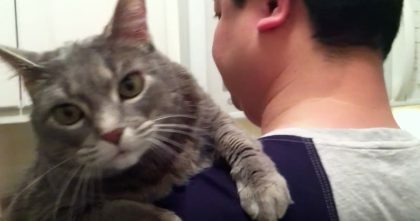 Kitty Demands Love From Her Human And Results Are Just TOO Cute For Words, Just Watch!